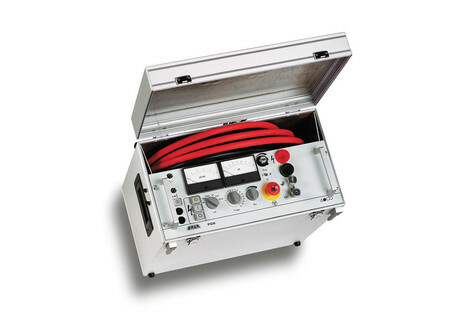 The portable, one-piece PGK 80 high-voltage test device for generating negative DC voltage up to 80 kV is primarily used for onsite testing of paper-insulated mass-impregnated cables in the medium-voltage network. The high voltage is generated through a high-voltage transformer with secondary voltage-multiplier. The internal operating frequency of 20 kHz enables the smallest of device dimensions.